This article is about the Australian rebellion. For the Mutiny album, see Rum Rebellion (album). Deposition and arrest of NSW Governor William Bligh. Withdrawal and disbandment of NSW Corps in disgrace. Appointment of Lachlan Macquarie as Governor. The Rum Rebellion of 1808 was the only successful armed takeover of government in Australian history. During the 19th century, it was widely referred to in Australia as the Great Rebellion. On 26 January 1808, 20 years after Arthur Phillip's First Fleet of convicts founded Sydney as the first European settlement in Australia, the New South Wales Corps under the command of Major George Johnston, working closely with John Macarthur, deposed the Governor of New South Wales, William Bligh. Afterwards, the military ruled the colony, with the senior military officer stationed in Sydney acting as the lieutenant-governor of New South Wales until the arrival from Britain of Major-General Lachlan Macquarie as the new governor at the beginning of 1810. William Bligh, well known for his overthrow in the mutiny on the Bounty, was a naval officer and the fourth Governor of New South Wales. He succeeded Governor Philip Gidley King in 1805, having been offered the position by Sir Joseph Banks. It is likely that he was selected by the British Government as governor because of his reputation as a hard man. He stood a good chance of reining in the maverick New South Wales Corps, something that his predecessors had not been able to do. Bligh left for Sydney with his daughter, Mary Putland, and her husband while Bligh's wife remained in England. Even before his arrival, Bligh's style of governance led to problems with his subordinates. The Admiralty gave command of the storeship Porpoise and the convoy to the lower ranked Captain Joseph Short and Bligh took command of a transport ship. This led to quarrels which eventually resulted in Captain Short firing across Bligh's bow in order to force Bligh to obey his signals. When this failed, Short tried to give an order to Lieutenant Putland, Bligh's son-in-law, to stand by to fire on Bligh's ship. Bligh boarded the Porpoise and seized control of the convoy. When they arrived in Sydney, Bligh, backed up by statements from two of Short's officers, had Short stripped of the captaincy of the Porpoise – which he gave to his son-in-law – cancelled the 240-hectare (600-acre) land grant Short had been promised as payment for the voyage and shipped him back to England for court-martial, at which Short was acquitted. The president of the court, Sir Isaac Coffin, wrote to the Admiralty and made several serious accusations against Bligh, including that he had influenced the officers to testify against Short. Bligh's wife obtained a statement from one of the officers denying this and Banks and other supporters of Bligh lobbied successfully against his recall as governor. Soon after his arrival at Sydney, in August 1806, Bligh was given an address of welcome signed by Major Johnston for the military, by Richard Atkins for the civilian officers, and by John Macarthur for the free settlers. However, not long after, he also received addresses from the free and freed settlers of Sydney and the Hawkesbury River region, with a total of 369 signatures, many made only with a cross, complaining that Macarthur did not represent them, as they blamed him for withholding sheep so as to raise the price of mutton. One of Bligh's first actions was to use the colony's stores and herds to provide relief to farmers who had been severely affected by flooding on the Hawkesbury River, a situation that had disrupted the barter economy in the colony. Supplies were divided up according to those most in need and provisions were made for loans to be drawn from the store based on capacity to repay. This earned Bligh the gratitude of the farmers but the enmity of traders in the Corps who had been profiting greatly from the situation. Bligh, under instructions from the Colonial Office, attempted to normalise trading conditions in the colony by prohibiting the use of spirits as payment for commodities. Bligh communicated his policy to the Colonial Office in 1807, with the advice that his policy would be met with resistance. Robert Stewart, Viscount Castlereagh, Secretary of State for War and the Colonies wrote back to Bligh, his instructions being received on 31 December 1807. The instructions were to stop the barter of spirits and H.V. Evatt concludes in his history of the Rebellion that ... "Bligh was authorised to prevent free importation, to preserve the trade under his entire control, to enforce all penalties against illegal import, and to establish regulations at his discretion for the sale of spirits". Evatt argues that the enmity of the monopolists within the colony stemmed from this and other policies which counteracted the power of the rich and promoted the welfare of the poor settlers. Bligh ceased the practice of handing out large land grants to the powerful in the colony; during his term, he granted just over 1,600 hectares of land, half of it to his daughter Mary Putland and himself. Bligh also upset some people by allowing a group of Irish convicts to be tried for revolt, by a court that included their accusers, and then when six out of the eight were acquitted, he kept them under arrest anyway. He dismissed D'Arcy Wentworth from his position of Assistant Surgeon to the Colony without explanation, and sentenced three merchants to a month's imprisonment and a fine for writing a letter that he considered offensive. Bligh also dismissed Thomas Jamison from the magistracy, describing him in 1807 as being "inimical" to good government. Jamison was the highly capable (if crafty) Surgeon-General of New South Wales. He had accumulated significant personal wealth as a maritime trader and was a friend and business partner of Macarthur's. Jamison never forgave Bligh for sacking him as a magistrate and interfering with his private business activities, and he supported Bligh's later deposition. In October 1807 Major George Johnston wrote a formal letter of complaint to the Commander-in-Chief of the British Army, stating that Bligh was abusive and interfering with the troops of the New South Wales Corps. It is clear that Bligh had made enemies of some of the most influential people in the colony. He also antagonised some of the less wealthy when he ordered those who had leases on government land within Sydney to remove their houses. John Macarthur had arrived with the New South Wales Corps in 1790 as a lieutenant, and by 1805 he had substantial farming and commercial interests in the colony. He had quarrelled with Bligh's predecessor governors and had fought three duels. Bligh and Macarthur's interests clashed in a number of ways. Bligh stopped Macarthur from cheaply distributing large quantities of rum into the Corps. He also halted Macarthur's allegedly illegal importation of stills. Macarthur's interest in an area of land granted to him by Governor King conflicted with Bligh's town-planning interests. Macarthur and Bligh were also engaged in other disagreements, including a conflict over landing regulations. In June 1807, a convict had stowed away and escaped Sydney on Macarthur's schooner Paramatta, and in December 1807, when Parramatta returned to Sydney, the bond held to ensure that masters and owners of vessels did not help prisoners escape the Colony was deemed to be forfeited. Bligh had the Judge-Advocate, Richard Atkins, issue an order for John Macarthur to appear on the matter of the bond on 15 December 1807. Macarthur disobeyed the order, was arrested and bailed and failed to appear for trial at the next sitting of the Sydney Criminal Court on 25 January 1808. The court was constituted of Atkins and six officers of the NSW Corps. Macarthur objected to Atkins being fit to sit in judgement of him because he was his debtor and inveterate enemy. Atkins rejected this, but Macarthur's protest had the support of the other six members of the court, all officers of the Corps. Without the Judge-Advocate, the trial could not take place and the court dissolved". On the morning of 26 January 1808, Bligh again ordered that Macarthur be arrested and also ordered the return of court papers, which were now in the hands of officers of the Corps. The Corps responded with a request for a new Judge-Advocate and the release of Macarthur on bail. Bligh summoned the officers to Government House to answer charges made by the judge and he informed Major Johnston that he considered the action of the officers of the Corps to be treasonable. Johnston, instead, had gone to the jail and issued an order releasing Macarthur, who then drafted a petition calling for Johnston to arrest Bligh and take charge of the colony. This petition was signed by the officers of the Corps and other prominent citizens but, according to Evatt, most signatures had probably been added only after Bligh was safely under house arrest. Johnston then consulted with the officers and issued an order stating that Bligh was "charged by the respectable inhabitants of crimes that render you unfit to exercise the supreme authority another moment in this colony; and in that charge all officers under my command have joined." Johnston went on to call for Bligh to resign and submit to arrest. At 6:00 pm, the Corps, with full band and colours, marched to Government House to arrest Bligh. They were hindered by Bligh's daughter and her parasol but Captain Thomas Laycock finally found Bligh, in full dress uniform, behind his bed where he claimed he was hiding papers. Bligh was painted as a coward for this but Duffy argues that if Bligh was hiding it would have been to escape and thwart the coup. In his book Captain Bligh's Other Mutiny, Stephen Dando-Collins agrees and goes so far as to suggest that Bligh was planning to escape to the Hawkesbury and to lead settlers who were strongly supportive of him and who were against the coup leaders there. During 1808 Bligh and his daughter Mary Putland were confined to Government House, under house arrest. Bligh refused to leave for England until lawfully relieved of his duty. Johnston appointed Charles Grimes, the Surveyor-General, as Judge-Advocate and ordered Macarthur and the six officers be tried; they were found not guilty. Macarthur was then appointed as Colonial Secretary and effectively ran the business affairs of the colony. Another prominent opponent of Bligh, Macarthur's ally Thomas Jamison, was made the colony's Naval Officer (the equivalent of Collector of Customs and Excise). Jamison was also reinstated as a magistrate, which enabled him and his fellow legal officers to scrutinise Bligh's personal papers for evidence of wrongdoing by the deposed governor. In June 1809 Jamison sailed to London to bolster his business interests and give evidence against Bligh in any legal prosecutions that might be brought against the mutineers. Jamison died in London at the beginning of 1811, however, so he did not have an opportunity to testify at Johnston's court martial, which was not conducted until June of that year (see below). Shortly after Bligh's arrest, a watercolour illustrating the arrest by an unknown artist was exhibited in Sydney at perhaps Australia's first public art exhibition. The watercolour depicts a soldier dragging Bligh from underneath one of the servants’ beds in Government House and with two other figures standing by. The two soldiers in the watercolour are most likely John Sutherland and Michael Marlborough and the other figure on the far right is believed to represent Lieutenant William Minchin. This watercolour is Australia's earliest surviving political cartoon and like all political cartoons it makes use of caricature and exaggeration to convey its message. The New South Wales Corps officers regarded themselves as gentlemen and in depicting Bligh as a coward, the cartoon declares that Bligh was not a gentleman and therefore not fit to govern. The origins of the watercolour derive from a dispute between Bligh and Sergeant Major Whittle about Bligh demanding Whittle to pull down his house as it was halting improvements to the town. It has been suggested Whittle either commissioned the painting or had painted the watercolour himself but it is unlikely that Whittle had done so as he was illiterate. Following Bligh's overthrow Johnston had notified his superior officer, Colonel William Paterson, who was in Tasmania establishing a settlement at Port Dalrymple (now Launceston), of events. Paterson was reluctant to get involved until clear orders arrived from England. When he learned in March that Lieutenant-Colonel Joseph Foveaux was returning to Sydney with orders to become acting lieutenant-governor, Paterson left Foveaux to deal with the prevailing situation. Foveaux arrived in July and took over the colony, which annoyed Macarthur. Since a decision was expected from England, and feeling that Bligh's behaviour had been insufferable, Foveaux left Bligh under house arrest and turned his attention to improving the colony's roads, bridges and public buildings, which he felt had been badly neglected. When there was still no word from England, he summoned Paterson to Sydney in January 1809 to sort out matters. Paterson sent Johnston and Macarthur to England for trial, and confined Bligh to the barracks until he signed a contract agreeing to return to England. Paterson, whose health was failing, then retired to Old Government House, Parramatta and left Foveaux to run the colony. In January 1809 Bligh was given the control of HMS Porpoise, a ten-gun store ship, on condition that he return to England. However, Bligh sailed to Hobart, Tasmania, seeking the support of the Tasmanian Lieutenant-Governor David Collins to retake control of the colony. Collins did not support him and on Paterson's orders Bligh remained cut off on board the Porpoise, moored at the mouth of the River Derwent south of Hobart, until January 1810. The Colonial Office finally decided that sending naval governors to rule the colony was untenable. Instead the NSW Corps, now known as the 102nd Regiment of Foot, was to be recalled to England and replaced with the 73rd Regiment of Foot, whose commanding officer would take over as governor. Bligh was to be reinstated for 24 hours, then recalled to England, Johnston sent to England for court martial, and Macarthur tried in Sydney. Major-General Lachlan Macquarie was put in charge of the mission after Major-General Miles Nightingall fell ill before departure. Macquarie took over as governor with an elaborate ceremony on 1 January 1810. Governor Macquarie reinstated all the officials who had been sacked by Johnston and Macarthur and cancelled all land and stock grants that had been made since Bligh's deposition, though to calm things down he made grants that he thought appropriate and prevented any revenge. When Bligh received the news of Macquarie's arrival, he sailed to Sydney, arriving on 17 January 1810 to collect evidence for the forthcoming court martial of Major George Johnston. He departed for the trial in England on 12 May, arriving on 25 October 1810 aboard the Hindostan. Having informally heard arguments from both sides, the government authorities in England were not impressed by either Macarthur and Johnston's accusations against Bligh, or by Bligh's ill-tempered letters accusing key figures in the colony of unacceptable conduct. Johnston was court-martialled, found guilty and cashiered, the lowest penalty possible. He was then able to return as a free citizen to his estate, Annandale, in Sydney. Macarthur was not tried but was refused permission to return to NSW until 1817, since he would not admit his wrongdoing. 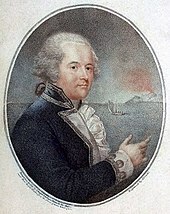 Bligh's promotion to rear admiral was held up until the end of Johnston's trial. Afterward it was backdated to 31 July 1810 and Bligh took up a position that had been kept for him. He continued his naval career in the Admiralty, without command, and died of cancer in 1817. Macquarie had been impressed with Foveaux's administration. He put Foveaux's name forward to succeed Collins as Lieutenant-Governor of Tasmania because he could think of no one more fitting, and considered that he could not have acted otherwise with regard to Bligh. However, when Foveaux returned to England in 1810 he was court-martialled for assenting to Bligh being deposed and imprisoned; Macquarie's recommendation was ignored. Foveaux was taken back into active service in 1811 and promoted lieutenant-colonel of the 1st Regiment Greek Light Infantry; he pursued an uneventful military career after that, rising to the rank of lieutenant-general. The Rum Rebellion has slipped into historical oblivion because it is widely misunderstood. It is popular belief that the autocratic Bligh was removed because he threatened the huge profits that were being made from trading in spirits by the officers of the NSW Corps and by businessmen such as John Macarthur. This view suggests it was nothing more than a squabble between equally unsavoury parties. The conflict had greater depth than that of a mere squabble, however. Essentially it was the culmination of a long-running tussle for power between the government and private entrepreneurs, a fight over the future and the nature of the colony. The early governors wanted to keep NSW as a large-scale open prison, with a primitive economy based on yeomen ex-convicts and run by government fiat. ... almost no one at the time of the rebellion thought it was about rum. Bligh tried briefly to give it that spin, to smear his opponents, but there was no evidence for it and he moved on. Many years later, in 1855, an English Quaker named William Howitt published a popular history of Australia. Like many teetotallers, he was keen to blame alcohol for all the problems in the world. Howitt took Bligh's side and invented the phrase Rum Rebellion, and it has stuck ever since. The Biography of Early Australia dismisses Macarthur's complaints as ridiculous and quotes Evatt as saying that legally Macarthur was guilty of two out of the three charges brought against him including sedition. Both consider that Bligh was wholly justified in his actions because he was the legitimate authority. However, imprisoning people and threatening to do the same to the court when they failed to yield to the will of said authority would seem to be legally problematic. Duffy states that had Johnston arrived when summoned on 25 January the Rum Rebellion probably would never have happened. The Australian folk punk band Mutiny included a song about the rebellion and the earlier Mutiny on the Bounty, called "Bligh" on their 1997 debut album Rum Rebellion. The Temeraire book Tongues of Serpents puts the main characters in the aftermath of the Rum Rebellion. In the dragon-influenced alternate history, the presence of dragon-backed Chinese traders allied with the Larrakia prevents the British from seizing full control of the continent, and Macarthur stages a second, successful rebellion against Macquarie to prevent war. The TV miniseries Against the Wind includes events of the Rum Rebellion in episode 12. ^ "First Australian political cartoon fuels Rum Rebellion folklore" (PDF). Media Releases. State Library of New South Wales. 2008. Archived from the original (pdf) on 29 February 2008. Retrieved 4 February 2008. When an unknown artist created Australia's first political cartoon, little did he know his drawing would seep into the country's folklore and shape the perceptions on Governor Bligh's dramatic arrest and overthrow, 200 years ago on Australia Day. This cartoon [was] created within hours of the mutiny and ridicul[es] Bligh. ... The coloured work depicts the hunted Governor being dragged from underneath a bed by the red-coated members of the NSW Corps, later referred to as the Rum Corps. 'It was very unlikely that Bligh would have hidden under the bed, the image was political propaganda, intending to portray Bligh as a coward.' The slur on Bligh's character created by the cartoon was extremely powerful. The work was first illuminated by candles and displayed prominently in the window of Sergeant Major Whittle’s house. Throughout the years the image continued to blur the reality about the true events of the rebellion. ^ "NOTABLE AUSTRALIAN EVENTS". Sunday Times (619). New South Wales, Australia. 7 November 1897. p. 9. Retrieved 25 February 2019 – via National Library of Australia. ^ a b c d e f g h i j k A.W. Jose; et al., eds. (1927). The Australian Encyclopaedia Vol.I. Sydney: Angus & Robertson. pp. 171–2. ^ a b Rex Rienits, ed. (1970). Australia's Heritage Vol.1. Sydney: Paul Hamlyn. pp. 254–7. ^ a b "John Macarthur (1767–1834), pioneer and founder of the wool industry". The Biography of Early Australia. bendigolive.com. Archived from the original on 27 September 2009. Retrieved 19 January 2010. ^ a b c d e f "Series 40: Correspondence, being mainly letters received by Banks from William Bligh, 1805–1811". Papers of Sir Joseph Banks: Section 7 – Governors of New South Wales. State Library of New South Wales. Archived from the original on 16 February 2006. Retrieved 26 March 2006. ^ a b c d A.W. Jose; et al., eds. (1926). The Australian Encyclopaedia Vol. II. Sydney: Angus & Robertson. pp. 3–4. ^ Stephen Dando-Collins (2007). Captain Bligh's Other Mutiny. Sydney: Random House. ^ Parsons, Vivienne (1967). "Jamison, Thomas (1753? – 1811)". Australian Dictionary of Biography. Canberra: Australian National University. Retrieved 5 October 2007. ^ a b c d Neville, Richard (May 1991). "The Arrest of Governor Bligh: Pictures and Politics". Australiana. 13 (2): 38–42. ^ a b "Governor Bligh's Arrest, 1808". Archived from the original on 15 October 2013. Retrieved 8 March 2013. ^ a b A.W. Jose; et al., eds. (1926). The Australian Encyclopaedia Vol. II. Sydney: Angus & Robertson. pp. 278–279. ^ a b A.W. Jose; et al., eds. (1927). The Australian Encyclopaedia Vol.I. Sydney: Angus & Robertson. pp. 485–486. ^ METRO IS LIMITING 'RED BADGE' SHOWS: Studio Delays General Release of Movie Because of Poor Responses at Previews By THOMAS F. BRADY Special to THE NEW YORK TIMES.. New York Times (1923–Current file) [New York, N.Y] 08 Mar 1951: 37. Dando-Collins, Stephen, Captain Bligh's Other Mutiny: The True Story of the Military Coup that Turned Australia into a Two-Year Rebel Republic, Sydney, Random House, 2007. Duffy, Michael, Man of Honour: John Macarthur, Sydney, Macmillan Australia, 2003. Evatt, H.V., Rum Rebellion: A Study Of The Overthrow Of Governor Bligh By John Macarthur And The New South Wales, 1943. Tom Frame (23 January 2008). "Who'll Watch Guardians When Ex-officers Rule Us?"". The Australian. Archived from the original on 12 June 2008. Fitzgerald, Ross and Hearn, Mark, Bligh, Macarthur and the Rum Rebellion, Kenthurst: Kangaroo Press, 1988. Ritchie, John, The Wentworths: Father and Son, Melbourne, Melbourne University Press, 1997. Vice-Admiral William Bligh was an officer of the Royal Navy and a colonial administrator. The Mutiny on the Bounty occurred during his command of HMS Bounty in 1789; after being set adrift in Bounty's launch by the mutineers, Bligh and his loyal men reached Timor, a journey of 3,618 nautical miles. Captain Philip Gidley King was the third Governor of New South Wales, and did much to organise the young colony in the face of great obstacles. Major General Lachlan Macquarie, CB was a British Army officer and colonial administrator from Scotland. Macquarie served as the fifth and last autocratic Governor of New South Wales from 1810 to 1821, and had a leading role in the social, economic and architectural development of the colony. He is considered by historians to have had a crucial influence on the transition of New South Wales from a penal colony to a free settlement and therefore to have played a major role in the shaping of Australian society in the early nineteenth century. In 1816 Macquarie gave orders that led to the Appin Massacre of Gundungurra and Dharawal people. William Redfern was an English-raised surgeon in early colonial Australia who was transported to New South Wales as a convict for his role in the Mutiny on the Nore. John Macarthur was a British army officer, entrepreneur, politician, architect and pioneer of settlement in Australia. Macarthur is recognised as the pioneer of the wool industry that was to boom in Australia in the early 19th century and become a trademark of the nation. He is noted as the architect Farm House, his own residence in Parramatta, and as the man who commissioned architect John Verge to design Camden Park Estate in Camden, in New South Wales. John Piper was a military officer, public servant and landowner in the colony of New South Wales. The Sydney suburb of Point Piper was named in his honour. Lieutenant-Colonel George Johnston was briefly Lieutenant-Governor of New South Wales, Australia after leading the rebellion later known as the Rum Rebellion. After serving as a young marine officer in the American Revolutionary War, Johnston served in the East Indies, fighting against the French, before volunteering to accompany the First Fleet to New South Wales. After serving as adjutant to Governor Arthur Phillip, Johnston served in the New South Wales Corps and he was later a key figure in putting down the Castle Hill convict rebellion in 1804 and then the Rum Rebellion in 1808, the latter of which led to his court martial and subsequent cashiering from military service. In his later life, he returned to New South Wales as a private citizen, raising a family in the colony and establishing a successful farm around Annandale in Sydney. Thomas Laycock was an English soldier, explorer, and later businessman, who served in North America during the War of 1812, but is most famous for being the first European to travel overland through the interior of Tasmania. Mary Putland (1783–1864) was the Lady of Government House, New South Wales, Australia during the period her father William Bligh was the Governor of New South Wales.